Ireland’s Rural Development Programme (RDP) 2014-2020 has allocated over €4 billion for a range of supports, schemes and programmes, which can be utilised by farming, forestry and rural individuals and communities. Many initiatives supported by the RDP 2014-2020 allow farm families to consider new enterprises, essential for the future viability of the family farm. One such family are the Mulhalls of Coolanowle Country House and Organic Farm, situated along the Carlow and Laois border. 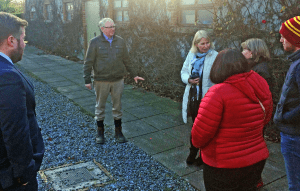 Dr Maura Farrell, NUI Galway and member of the National Rural Network team recently visited the farm and met Bernadine and Jimmy Mulhall and members of their extended family also involved in the family business. ​Traditionally a dairy farm, Bernadine and Jimmy, made the decision in the early 2000s, to enhance their farm and improve their chances of viability by converting the family home into a guest house. Hard work, commitment and innovative thinking are more than apparent when speaking with the Mulhall family who created an intimate guest house business as a starting point for a longer-term farm diversification venture. 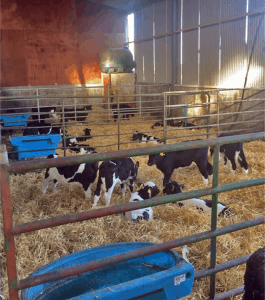 Dr Farrell suggests that ‘in considering diversification, utilising what is available on-farm is often the best starting point’ and this is exactly what Bernadine and Jimmy achieved as they went about converting two limestone cottages and original cow byres to expand their farm accommodation business. 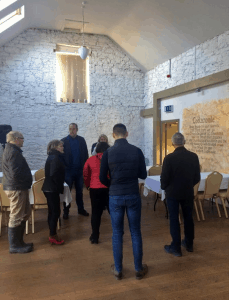 In more recent years, renovations of an on-site barn has resulted in the development of a purpose built conference and banquet centre, which allows Coolanowle House to carter for weddings, conferences and events. ​A key enhancement of the farm business was the decision to convert the 100 hectare farm to organics in the early 2000s. Rearing organic beef, lamb, pork, bacon and chicken resulted in the need for a specialised processing unit on-site, which now employs three butchers for slaughtering at the farm. Over the past fifteen years, the Mulhalls have produced a high end organic product, which Jimmy suggested ‘holds no trace of antibiotics, animal growth hormones or genetically modified organisms and their animals are reared under a sustainable organic farming system which places great emphasis on excellent animal welfare’. 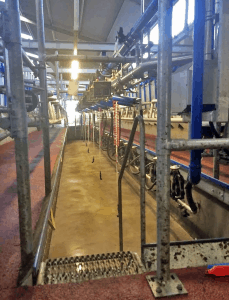 Although still dealing mainly in meat, Bernadine explains that an ‘ever growing demand for raw milk’ has pushed them to invest heavily in a new dairy system. Initial success in a local organic retail trade was assisted by Laois LEADER (now Laois Partnership) when they granted the Mulhalls a LEADER grant to purchase a custom built mobile unit. Following on from that success, Jimmy and Bernadine now sell Coolanowle Organic Meat on-line, nation-wide and at Coolanowle Farm. ​In an ever growing business, both Jimmy and Bernadine were delighted to welcome their daughter and son-in-law into the business; both of whom, Bernadine suggested ‘have added their own expertise and hard work to continue the success of the venture’. In recognition of their endeavour for perfection, hard work and model of farm diversification, the Mulhalls have received a host of awards; including the most recent ‘Best Laois Business for Tourism and Hospitality’ at the 2017 Laois Business Awards. 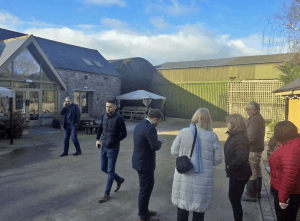 Previously selected as an Organic Demonstration Farm for the Department of Agriculture, Food and the Marine and Teagasc; Coolanowle Country House and Organic Farm is a model of success for many other farm families looking for an excellent example of farm diversification.